First decent RGB image with the new homemade filter wheel - so I'm happy its come out the right colour, and not with R in the G and B in the R, and so forth. 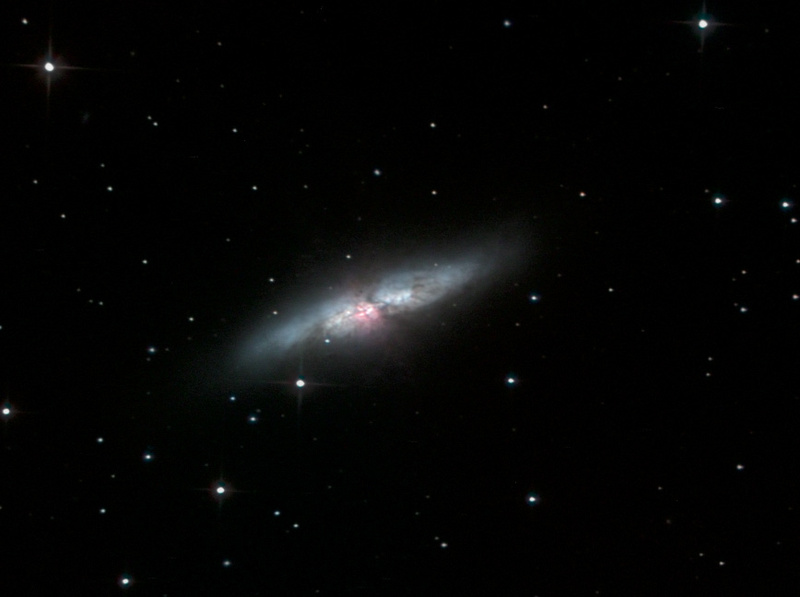 Very poor weekend - very clear skies but dreadful seeing made high res work impossible, and focus very hard. I seriously need to do some work on my focusing systems - it is my biggest area of struggle. Captured with 2x2 binning in ArtemisCapture. Calibrated and stacked in Maxim. DDP and gradient removal in maxim. Colour combined in maxim and LLRGB created in photshop. Things went poorly on the colours - some odd things happening around the stars, do I had to bodge things a bit to hide the mess in the processing.